LED map light, 12v, 12 super bright white LEDs with 6 red LED night light facility. 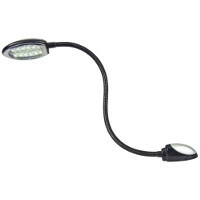 Switch on lamp head with 325mm flexible arm. CE approved.